This recipe is from My Healthy Green Family includes all the pictures! 1/2 c. liquid honey plus 1 tbsp. Flour/water mixture shouldn’t be watery. Water should just mix into flour without any excess. Make sure there is no dry flour. Add by the tbsp. if needed. in 1/2 c. warm water, gently mix 4 1/2 tsp. yeast and 1 tbsp. honey until just mixed. Set aside. Do not over- mix. Sponge should be visibly active: bubbles forming etc. before adding to recipe. 3. Melt 6 tbsp. butter. Cool to room temperature. 5. 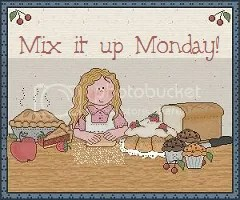 Mix/ knead in 5-6 cups flour to right consistency. (Stir in until it is too hard to stir, then dump on lightly floured countertop and knead in.) Dough should feel pliable and not dry. Sprinkle counter top with small amount of flour as needed to prevent from sticking to the counter. 6. Place dough in large, greased bowl. Cover with a damp tea towel. Place in warm (not hot!) corner on counter top. Allow to rise until double: up to 2 hours. 7. Remove from bowl, punch down and kneed for 2 minutes. Divide into 4 even sizes. 8. Kneed each individual loaf. Roll with a rolling pin and then roll up dough. Pinch to make a loaf shape. Place in greased loaf pan. Repeat for all 4 loaves. Cover loaves with damp tea towel. 9. Allow to rise until double: up to 2 hours. 10. Bake at 350F for 40 minutes or until loaves are lightly browned and smell amazing. 11. Remove from oven and cool 10 minutes on wire rack. Remove from loaf pans and cool completely on wire rack. Brush tops with butter if desired. It makes the loaf tops nice and soft.